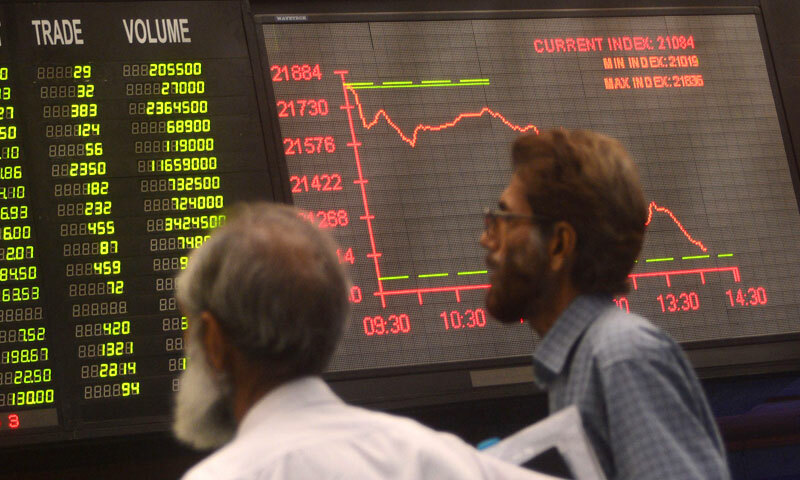 KARACHI: Stocks were further dragged down on Thursday with the KSE-100 index losing 21.57 points to close at 25,478.93, the lowest in last two months. The index moved in the range of 230 points on Thursday while volumes stood down by 7 per cent to 165m shares also representing the slowest activity in four months. The second and third tier stocks were in the limelight with five stocks, TRG, BOP(R), LPCL, JSCL and DCL accounting for 40pc of total volume. Market started out on positive note and gathered 100 points intra-day before sentiments weakened on strong profit selling. Trading interest was seen in the banking sector followed by cements. Analysts at brokerage Sunrise Capital (Pvt) Limited identified technical correction; uncertainty over operation against militants and macroeconomic concerns as factors that drove down the market on Thursday. Samar Iqbal, AVP, Equity Sales at Topline Securities commented that due to lack of triggers, local bourse witnessed another lacklustre session with range-bound activity. Habib Bank, Lalpir and Pak Gen Power (PKGP) announced their quarter results on Thursday. PKGP surprised investors by announcing dividend at Rs1.50 which helped reverse the sentiment. Analyst Ovais Ahsan at JS Global observed that the market was expected to remain in consolidation phase on Friday as Feb futures contract would expire and positions would be rolled over in to the new contract. Investors took heart and were encouraged by the fact that foreign investors had returned with net purchases of $3.01 million worth shares on Thursday. Mir Mohammad Alikhan, the Wall Street investment banker currently working on a project in Pakistan is widely followed. He advised wait and see approach as the market looked for direction.